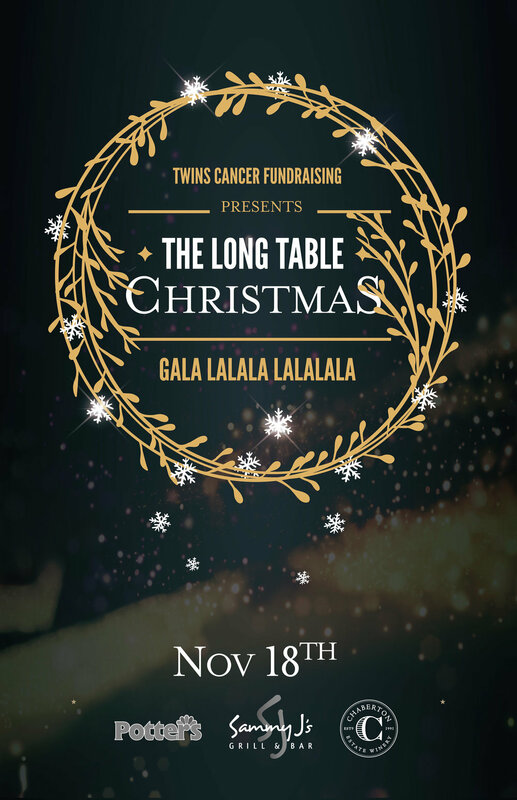 Twins Cancer Fundraising has partnered with Potters Christmas store to host the Long Table Christmas Gala. This event features 250 guests sitting at long dining tables that stretch and wind through the Christmas toy aisles of Potters Nursery, a three-course family style dinner, wine pairings, oysters and custom cocktails. The night also includes live “at your table” entertainment from local artists and performers. It is truly a magical night, with all proceeds going to Canuck Place Children’s Hospice. Our last Gala raised $60,000!